PAFA participates in local competitions during our season. This is an excellent opportunity to showcase PAFA talent on the statewide level. 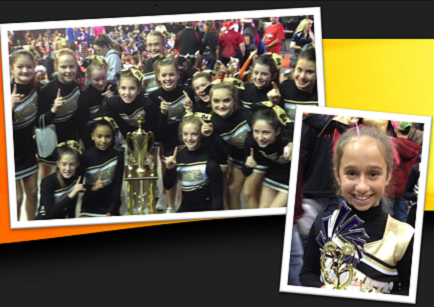 Squads may participate in up to 4 or 5 competitions in October and/or November. Congrats to our 8th grade squad taking 3rd place at STATE! Congrats to our 7th grade squad taking 1st place at STATE! Congrats to our 6th grade squad taking 3rd place at STATE! Congrats to our 6th grade squad taking 1st place at STATE! Congrats to our 7th grade squad taking 2nd place at STATE!